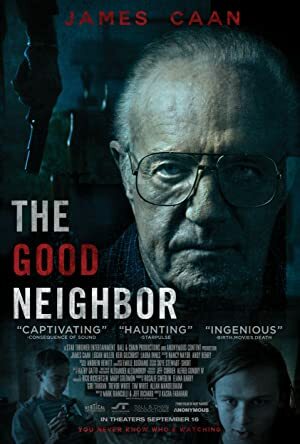 The Good Neighbor (2016) – What's New on Netflix Canada Today! A pair of mischievous high school kids create the illusion of a haunting on an unsuspecting neighbor. While keeping his every reaction under surveillance, they see much more than they bargained for.Two tech-savvy teens plot to fool a cranky old neighbor into believing his house is haunted, but their cruel prank soon takes some unexpected turns. Two tech-savvy teens plot to fool a cranky old neighbor into believing his house is haunted, but their cruel prank soon takes some unexpected turns.